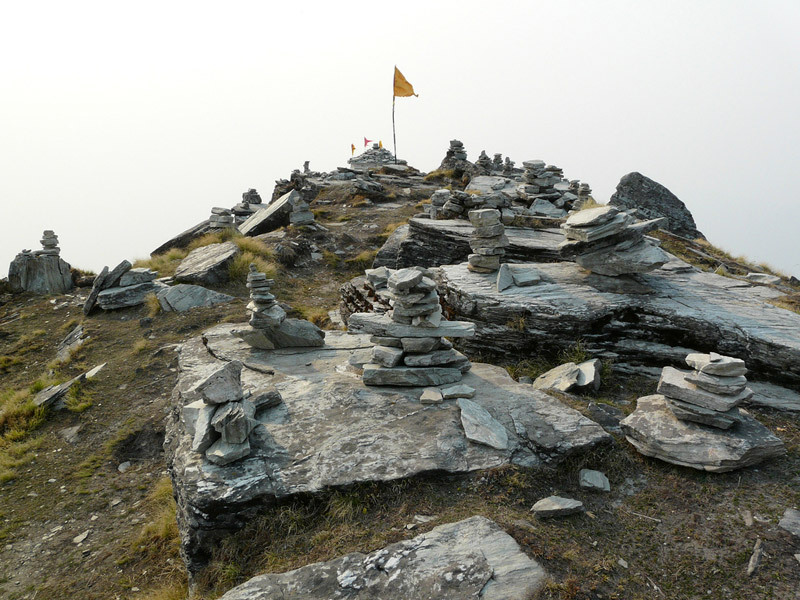 Chandrashila that literally suggests the ‘Moon Rock’ is the summit of the Chandranath Parvat on which the Tungnath temple of Panch Kedar is situated. 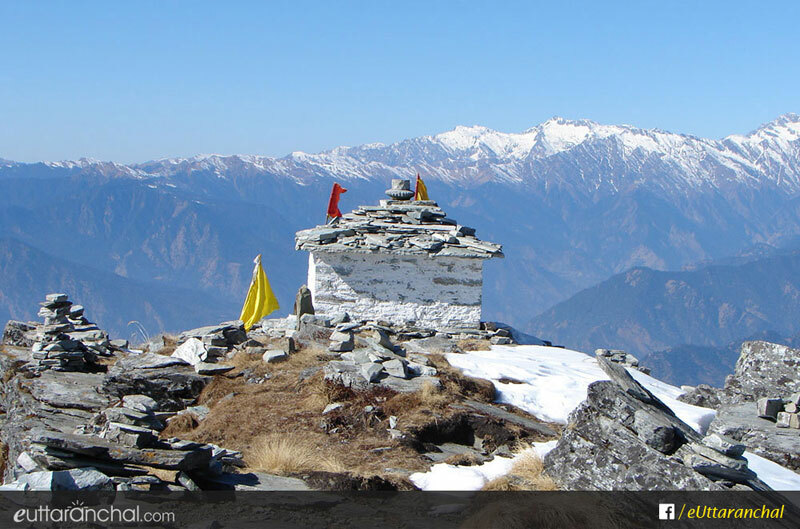 The majestic Chandrashila summit serves as a vantage point that offers a heavenly panorama of the Great Himalayas. Chandrashila is proudly seated at an elevation of 4,000 metres about 13,000 feet above sea level. Many travellers like to commence the exhilarating Chandrashila trek that can be completed by a short gradient of 1.5 km from Tungnath. However, the base camp for Chandrashila trek is Chopta. Chandrashila is one of the popular treks of Uttarakhand that can be undertaken throughout the year. But sometimes during winters the trek route remains hidden under the sheath of snow. Owing to its relative easiness and accessibility, the Chandrashilla summit trek is one of the most frequented treks of Uttarakhand. It offers a mesmerizing 360-degree view of the majestic Himalayan peaks like Kedarnath Dome, Chaukhamba, Trishul, and Nanda Devi. This trek opens up to the verdant meadows, one can absorb the scent of the deodar trees and pay obeisance at the holy Tungnath shrine. The Chandrashila trek route is a blessing for the weary souls who are in search of peace and tranquillity. This beautiful trek takes one through verdant meadows, deodar forests and the majestic Tungnath shrine. You can also enrapture in spirituality here by visiting the Chandrashila temple, where Lakshman, the younger brother of Lord Rama meditated. If you are planning a trek to Chandrashila, please keep in mind it is at an elevation close to 4,000 meters. Make sure you are physically fit although, the route is relatively easy. As Chandrashila is the summit itself, it is inhabitable. Facilities like ATMs, petrol pumps are not available, even at Chopta. One has to go all the way to Gopeshwar to find these facilities. Hire a Guide during Wintes, when the trek to Chandrashilla is completely covered with snow. Chandrashila is the summit of Chandranath Parbat at a staggering height of 4,000 metres. There is no accommodation available at the peak here, also camping is not allowed as well. One has to descent 1.5 km down to Tungnath Temple to find any sort of accommodation but that too is limited to few room in a ashram and cannot be booked in advance. Best is to find a place to stay at Chopta and trek to Chandrashila via Tungnath. 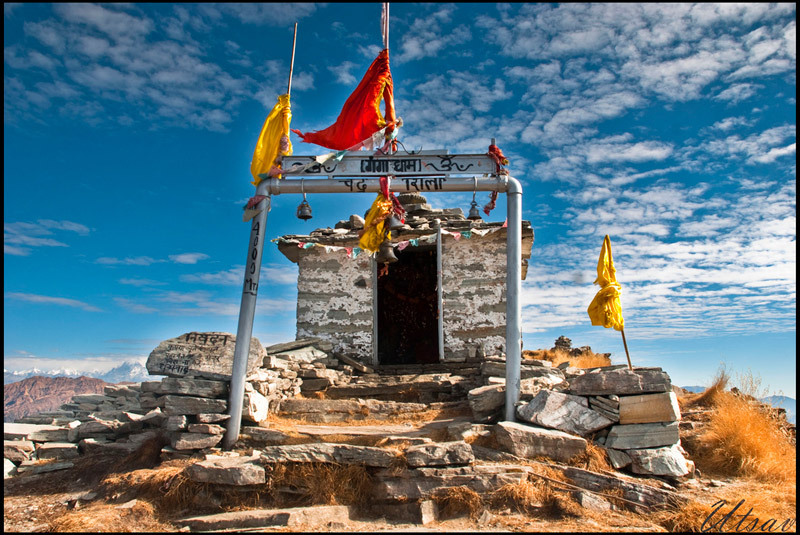 Again, one has to descent to Tungnath for local food and that too is available when Tungnath temple is open (May to October only), after that the food is available only in Chopta or respective hotels or camps in Chopta. It is believed that Lord Lakshman meditated at Chandrashila peak after defeating the demon-king Ravana. Another legend says that moon-god Chandra spent time here in penance. Take the bus to Ukhimath from Rishikesh that will follow the route via Devprayag-Srinagar-Rudraprayag-Ukhimath or via Rudraprayag-Karnprayag- Chamoli-Gopeshwar. It will take roughly 8-10 hours to reach Ukhimath or Gopeshwar, from where you can hire a taxi to Chopta. You will find resorts, hotels and camps in Chopta for having an overnight stay. Wake up early, post breakfast get ready to trek to Chandrashila. On the way, you will see the pristine meadows, shepherds, wild animals, Himalayan birds and rare species of flora-fauna. 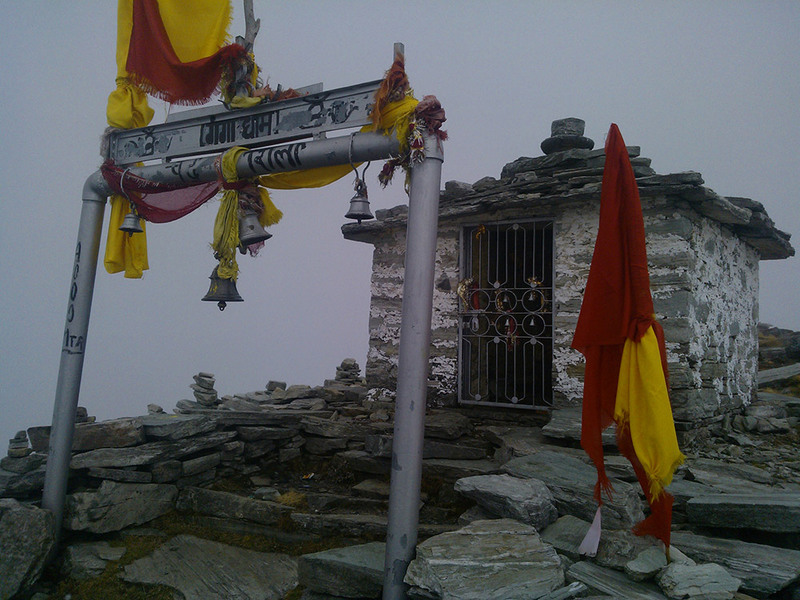 After trekking for 3.5 kms, you will reach Tungnath temple perched at an elevation of 3,680 metres. It is the highest Shiva temple in the world. 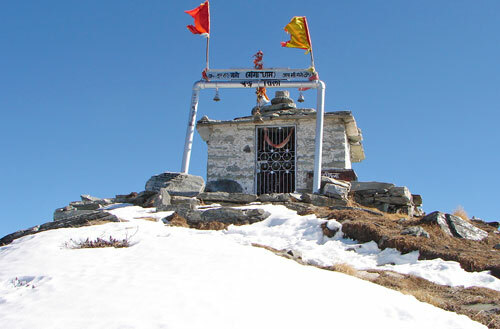 On reaching Tungnath, pay obeisance at the temple and admire its old stone architecture. Relax and commence the short 1.5 km trek to Chandrashila Peak. On reaching Chandrashila, enjoy the stunning 360-degree view of the snow-capped Himalayas. Trek back to Chopta and treat your jaded palates with a scrumptious lunch. Enjoy the beauty of Chopta and overnight stay in chopta. If you going to Delhi NCR have to catch train or flight, try to leave early in the morning after breakfast. What is Chandrashila Trek famous for? 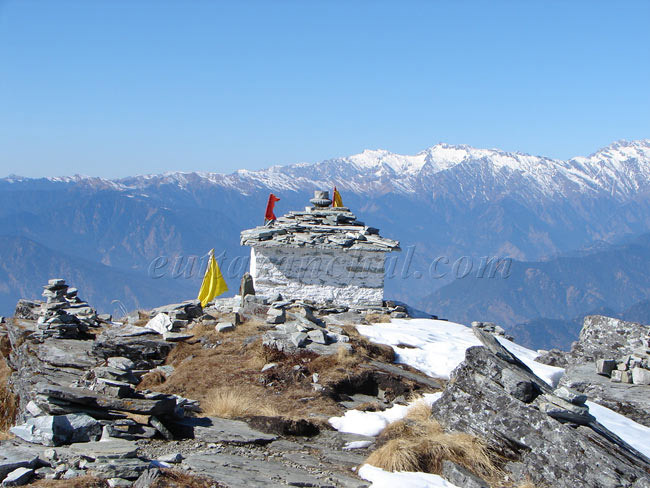 Chandrashila Trek is famous among tourist as Temple, Easy Trek, Snow Trek, Summit, 360 Himalayan Views, winter trek. Chandrashila Trek is recommended destination for Corporates, Couples, Family and Kids, Foreigners, Groups, Solo. Chandrashila Trek is popular destination for following activities/ interests - Adventure, Peaks and Mountains, Temples, Trekking, View Points, Winter Treks. Travelling to Chandrashila Trek in 2019? Contact us for planning your Chandrashila Trek tour with best travel packages of as per your requirements!